Ticket King Milwaukee Wisconsin: Badgers Hockey Coaches Remain Loyal to Wisconsin | Ticket King Inc.
Badgers Hockey Coaches Remain Loyal to Wisconsin | Ticket King Inc.
Wisconsin Badgers hockey tickets are in high demand, as the team hopes to improve on their previous record of 14-19-4. Tony Granato has the Badgers ready to play again this season. 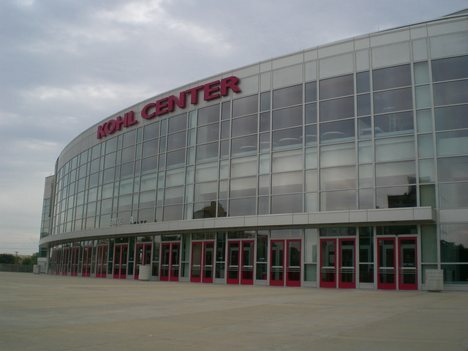 There are great home games coming up at the Kohl Center, an on the road! The Wisconsin Badgers are more well known for their football program, but this post we're all about Badgers Hockey! The Badgers have taken to the ice since 1921, when Wisconsin took on Michigan four times that first year. The program didn't come into focus until the 1960's, when Ivan Williamson managed the program. As an independent NCAA team, the Badgers had a very short eight game season in the early years. they had their first victory in 1965, taking down the Golden Gophers in overtime. In 1973, Wisconsin won their first national championship, at the "Frozen Four." They defeated Denver by a score of 4-2 that weekend. Four seasons later, the team would come out on top again, defeating Michigan. For three straight seasons in 1981 through 1983, Wisconsin would make to the finals, winning it all in 1981. The team has won the Championship game six times since 1973. Coaching the Badgers through the years has been no easy task. People in the Upper Midwest live and breathe hockey. John Riley took the position from 1963 through 1966, with a final record of 34-23-3. Bob Johnson worked from there, coaching the next nine seasons, winning the NCAA tournament in 1973. There was a "one and done" coach for the 1975-76 season, and he was followed up by two more tournament wins by Bob Johnson, who would wind up coaching the team for a total of fourteen seasons. Jeff Sauer would take over for the next twenty seasons. He coached the team to a pair of NCAA championships, and another four playoff spots throughout the years. He left the team with an overall record of 489 wins, 306 losses, and 46 ties. For the next fourteen seasons, Mike Eaves would take over. He was team captain in 2005-2006, when the Badgers again won the NCAA tournament. For the past two seasons, Tony Granato is head coach.